Any solar eclipse is at once fascinating and wholly predictable. That adds up to no more than a gee-whiz fun fact as long as you aren’t relying on solar electric generation for a substantial fraction of your energy supply. But if you are heavily reliant on solar generation, the predictability of an eclipse takes on critical importance. In that respect, the total eclipse that transited the United States August 21 provided what amounted to a valuable dry run: Power producers, generation dispatching authorities, and the organizations responsible for ensuring electric system reliability had an opportunity to experience the challenge of an eclipse knowing the loss of all utility-scale solar generation—something that was never a realistic probability anyhow—would take away less than 1 percent of the U.S. power supply.1 Key concerns had more to do with disruption of grid stability through the sudden loss and equally abrupt return of numerous individual generation sources, especially in sunny states where solar facilities are concentrated. Plans laid months in advance allowed the phenomenon to pass with electric reliability untouched. That was this time. Nobody knows for certain just what percentage of U.S. electric generation will be obtained from solar facilities six or seven years from now, but present trends point toward a safe bet that it will be a much bigger number than today’s. And that, in turn, points toward a significantly greater challenge keeping the grid on an even keel Sunday, April 8, 2024. That’s when the next total eclipse traverses the United States, roughly from Texas through New England. Even though the event will last for only a couple of minutes at any given point along its path, the expected growing percentage of solar in the generation mix will amplify the need for continuously available, dispatchable generation—most likely meaning natural gas-fired—to preserve grid stability. With weeks of more-or-less constant media attention and many months of utilities and reliability agencies like the North American Electric Reliability Corporation (NERC) planning compensatory strategies, no one but a hermit could have been surprised by the eclipse path, its varying intensity to either side of the path, or its timing. All of this was so well-known so far in advance as to prompt a similarly well-predicted mass migration of people into the path of totality, the better to witness the rare event. If anticipating these things helped prevent damage to the electric grid and also helped keep the sharp influx of people into mainly sparsely populated areas from turning into chaos, it didn’t mean there were no consequences felt in the energy sector; they just weren’t the predictable ones so many were watching for. The actual consequences mostly involved human nature baffling the experts. Preparations to cope with the brief loss of almost 2,000 utility-scale solar photovoltaic generating facilities focused on making up for the missing capacity, which would normally be at a premium in the middle of a warm summer day. The dual concern was grid stability and meeting summer energy demand, the latter yet another normally predictable factor. August 21 just wasn’t a normal day. Two states, California and North Carolina, had been singled out by NERC as being most vulnerable to grid disruptions because of their high concentration—they’re the number one and number two states, respectively—for utility solar facilities. Records from the California Independent System Operator that oversees power dispatching statewide show California solar production dipped from about 6,000 megawatts to roughly half that much as the eclipse passed. Hours later, as the eclipse moved over the eastern seaboard, North Carolina-based Duke Energy briefly lost nearly all its solar capacity, shedding about 1,700 megawatts of what would normally be about 1,800, according to a report in The Washington Examiner. But nowhere to be found are reports of anyone having trouble meeting power demand in California, North Carolina, or anywhere in between. There are at least two primary reasons. One is the ability of natural gas-fired generation to ramp up quickly and balance out shortages that may occur for whatever reason—for instance, a widespread overcast rapidly moving in on what started out as a sunny day. Another is that demand fell instead of increasing. It all comes down to the less than astonishing fact that when the sun and the moon do something different from what they normally do, people will too. 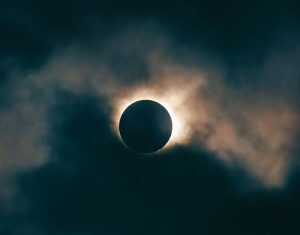 But if power providers and reliability organizations were fully awake to the situation well ahead of August 21, another sector of the energy business found itself in the dark the day before the eclipse arrived. Banking on the combination of a warm summer day and solar output plummeting just as air conditioning demand would ordinarily begin to climb, wholesale electricity traders bid up prices on day-ahead markets to lock in supply, anticipating big profits from a brief shortage. A lot of traders assumed the sudden darkness would cause people to switch on lights, adding that load to mid-day cooling demand. What the traders failed to calculate was the possibility that people might regard the first transcontinental total eclipse in a century as a big enough deal to draw them outdoors for much of the day, leaving their lights and AC turned off. Bloomberg Markets cited data revealing that during the period of the eclipse, Northern California spot market prices for immediate electricity purchases were less than half what traders in the day-ahead market had paid to corner their supplies for the relevant hour. Bloomberg also reported that spot electricity prices even went negative for a time in California and dipped from Texas to New York. The PJM Interconnection (a regional grid operator named for Pennsylvania, New Jersey, and Maryland but serving 13 states) reported electricity demand dropped nearly 4 percent during the eclipse. Preparations for the loss of solar capacity, combined with greatly reduced numbers of people using power at that time, ended up creating surplus generation, not shortages. Effects weren’t limited to the energy business. 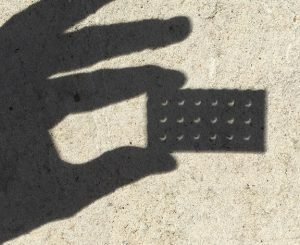 The Wall Street Journal said that during the half-hour when the eclipse peaked in New York, some 50 million fewer shares changed hands on the stock exchange than during the comparable part of the average trading day this year, the reduction of commerce attributed to eclipse-watching. The Journal also reported an estimate, based on Bureau of Labor Statistics data, suggesting workers wandering away from their jobs to see the eclipse would cost employers nationwide about $694 million. Humans weren’t alone in behaving differently; so did some machines. Two days after the event, the Associated Press reported that the Southwest Power Pool, another regional grid operator covering all or parts of 14 states, noted that reduced temperatures associated with the eclipse had calmed winds and caused about 1,200 megawatts of wind generation—the equivalent of a little more than both reactors at Wisconsin’s Point Beach nuclear plant—to drop off-line within an hour. In a few important ways, we still live in the world we grew accustomed to during the 20th century: Seven years is still the blink of an eye for purposes of utility infrastructure planning timelines. “Agile” and “utility” have not been words one expects to read in the same sentence. But that’s changing, and faster as change proceeds. By the time the next total solar eclipse travels across the United States, it’s all but guaranteed that continuing growth of reliance on intermittently available, renewable energy sources will compel the development of a more nimble grid with enhanced ability to tap wider varieties and larger numbers of generation resources and, probably to a lesser extent, stored energy. The grid will have to be more digitally interconnected, hence better able to respond quickly to fluctuations in the output from one energy source or another. That will require major, ongoing investments of time and money, investments we’ll make because of the kinds of energy we’re choosing. With those changes already beginning, by the time the next next U.S. total eclipse occurs in 2045, it’s more than possible we’ll be prepared to cope without giving it much thought, not because we’ve become adept at managing astronomical phenomena but because of things we’re doing right here on Earth every day. 1According to the U.S. Energy Information Administration, a division of the Department of Energy, utility-scale solar accounted for 0.9 percent of all U.S. electricity generation during 2016.